Alvar Aalto candle support... Create the perfect ambience! With typical floating forms of Alvar Aalto design, this candle support is an elegant and decorative piece. 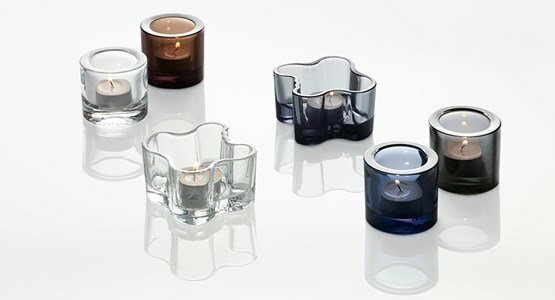 Possible to combine with other Iittala candle holders, is available in various colors so you can create the perfect setting for a romance with your home. Manually worked suport in glass, of high quality. We recommend hand washing every Iittala glass pieces. We inspire love, we breathe enthusiasm and affection (...) This is the most romantic day of the year. Find some suggestions that we have for you.